Nestled in the charming landscape of Cologne’s Rhinepark on the right riverbank is the Claudius Spa and Thermal Bath, said to be one of Europe’s finest. The theme is a reference to Cologne’s early history as a Roman colony and a tribute to the ancient art of healthy relaxation. The spa’s many different pools and basins are fed by a warm spring supplying abundant water of certified quality. Both the pleasant temperature and the mineral content make for a relaxed and rejuvenating stay. At this highly renowned destination, health conscious individuals from near and far indulge in a broad and attractive variety of wellness options and treatments including of course Finnish and Siberian saunas, a Serailbath rich with oriental herbs and spices as well as a peaceful and quiet rose garden certified as an urban landmark. If you want to head straight to the Claudius Spa upon your arrival, feel free to deposit your luggage and collect your key and ticket early in the day. You might want to grab a quick cup of coffee instead of breakfast in the main building – it’s on the house. 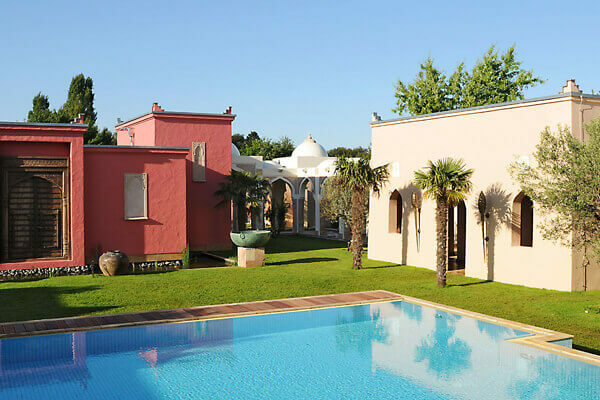 There is something decidedly Mediterranean about Cologne’s Mediterana spa and sauna paradise: The architecture, the interior design, the colors and scents, the accessories – and of course the friendly hospitality. A total of six in- and outdoor pools, tempered between 31 and 36 degrees Celsius invite for a refreshing swim or relaxing bath. Themed saunas, quiet relaxing areas and a creative mix of moods and styles make for a an utterly enjoyable stay. No wonder: Cologne’s Mediterana has received highest rating and is considered by many to be Europe’s finest. If you want to head straight to the Mediterana Spa upon your arrival, feel free to deposit your luggage and collect your key and ticket early in the day. You might want to grab a quick cup of coffee instead of breakfast in the main building – it’s on the house. 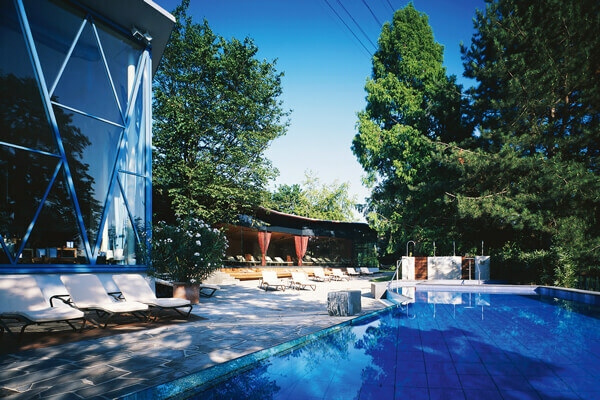 Have a relaxing day at Germany’s most beautiful spa and sauna paradise with two nights! Wellness for body and soul with two nights! Cologne is certainly worth a visit, and the UHU Hotel is a great home base for your excursions into the city. At a mere 13 minutes, the train ride to main central station is bound to be quicker than a drive by car, and the station is just around the corner. This city is rich with history and culture. The famous gothic cathedral is a must-see, but so are countless historical landmarks dating from Roman times through the middle ages until the present. Then, of course, there are the narrow alleys of old town with countless pubs and clubs. 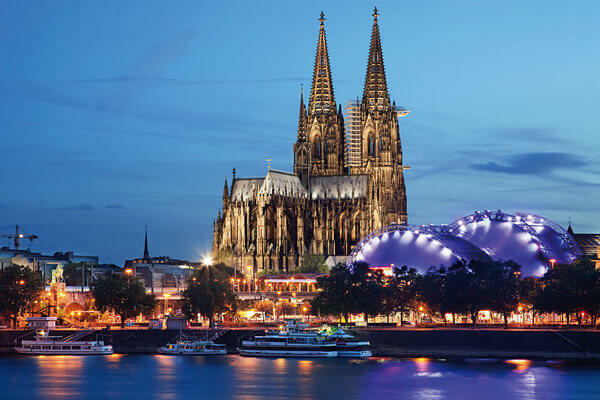 There are plenty of shopping opportunities, and you might also enjoy a leisurely strolls along the river bank or even a cruise on the majestic Rhine river. If you are into sports: You might want to catch a national league soccer match or see Cologne’s ice hockey team in action. If entertainment is your thing, then the musical dome, the Lanxess Arena, the countless clubs or even television studios will make for exciting evenings and nights. If you want to head straight into the city upon your arrival, feel free to deposit your luggage and collect your key and ticket early in the day. You might want to grab a quick cup of coffee instead of breakfast in the main building – it’s on the house. Cologne is certainly worth a visit, especially in December when just about every township gets ready for Christmas with a special holiday market rich with seasonal gifts, good food and wonderful punch. The UHU Hotel is your perfect home base for your seasonal sight seeing and shopping excursion: At a mere 13 minutes, the train ride to main central station, the cathedral and probably the largest Christmas market in the city is bound to be quicker than a drive by car, and the station is just around the corner. All year, the city offers much to be discovered and explored. The famous gothic cathedral is a must-see, but so are countless historical landmarks and the narrow alleys of old town with countless pubs and clubs. 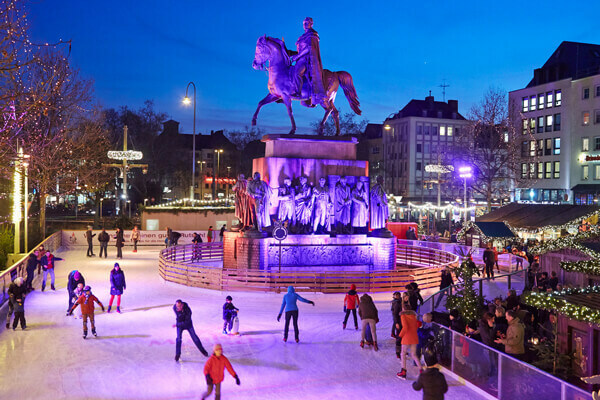 There are plenty of shopping opportunities, but you might also enjoy a leisurely strolls along the river bank, a cruise on the majestic Rhine river, a national league soccer match or an ice hockey game. If entertainment is your thing, then the musical dome, the Lanxess Arena, the countless clubs or even television studios will make for exciting evenings and nights. 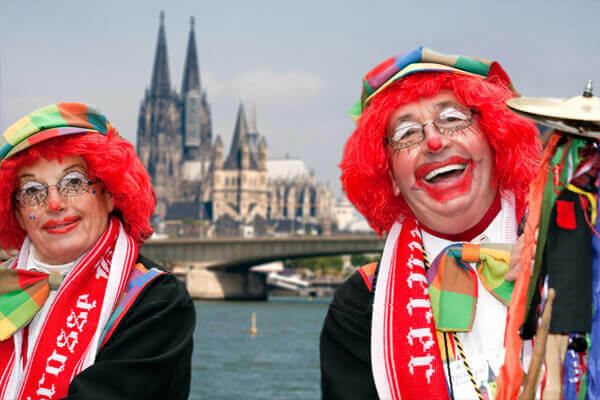 Cologne during Carnival – one big party! Carnival in Cologne is carnival at its best. On the six days leading up to Ash Wednesday, the party never stops. Pick four days and three nights and come join the fun. The UHU Hotel will be your perfect home base, whether you want to see the parades, take in one of countless events or just roam the streets filled with crazy people. You will be in the heart of downtown in a mere 13 minutes by train which leaves at the station just around the corner. It would probably take you longer to drive by car – but carnival, more than ever, is a good time to leave the car at the hotel.